A meal at Hill Club Restaurant is a fine and fancy experience. Diners are expected to dress up (there are a selection of jackets and ties on hand for male customers) for a meal in a classy, colonial-style setting. To match up with formal dress code, the wait staff are immaculately attired, donning starched jackets and white gloves. 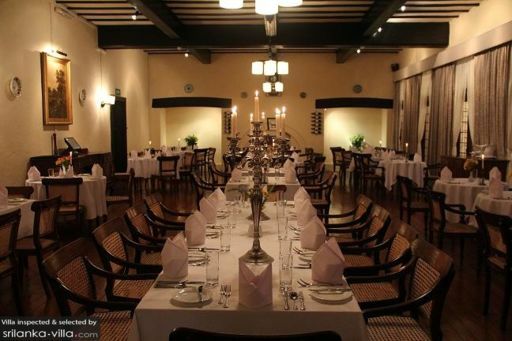 Guests can expect to feast on a variety of traditional English multi-course meals and local Sri Lankan fare at the restaurant.